I'm a children's author and illustrator who lives in Devon, England. I created young fiction series Horace & Harriet, a highly illustrated series aimed at ages 5 and up. 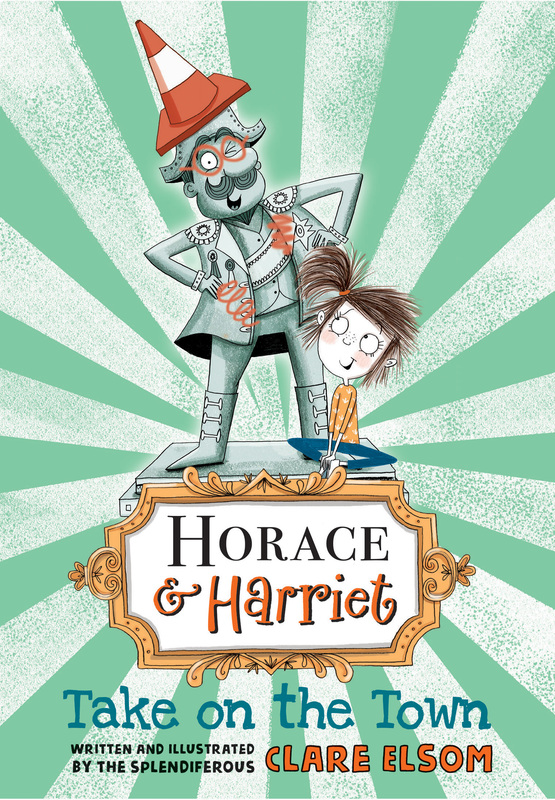 The books follows the delightfully silly adventures of a 17th century statue called Horace, and a brilliant seven year old girl called Harriet. 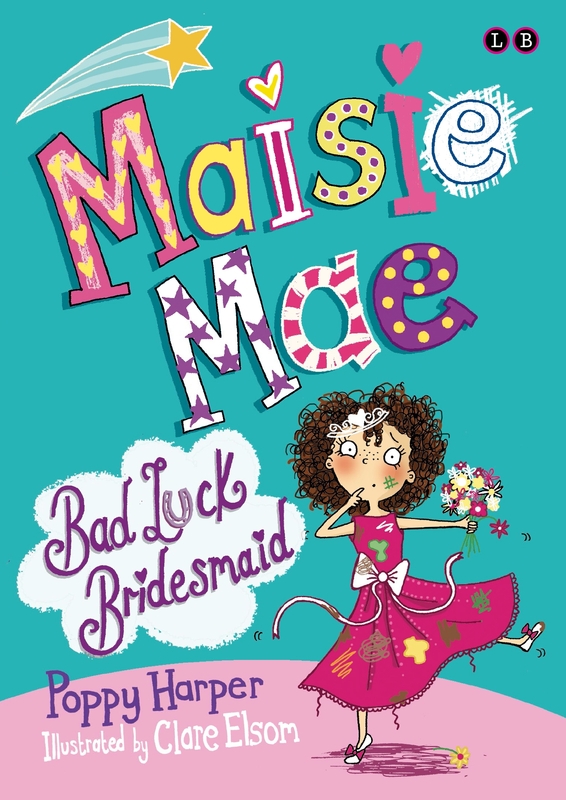 The series has been featured in Just Imagine’s Reading Gladiators reading scheme for 2019 and is published by Oxford University Press. 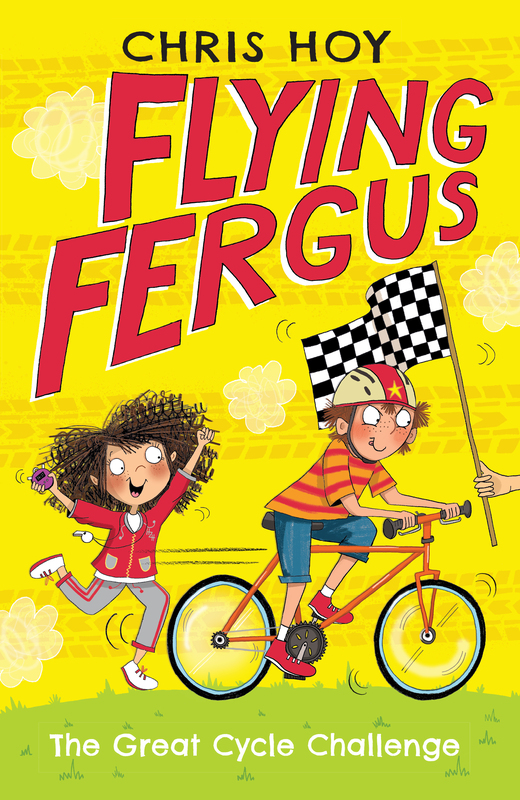 I have also illustrated dozens of popular children’s books, including the best-selling Flying Fergus series written by Olympic champion Sir Chris Hoy and Joanna Nadin, Furry Friends by Holly Webb, Maisie Mae by Poppy Harper, Spies in Disguise by Kate Scott and The Last Chocolate Chip Cookie by Jamie Rix. I love visiting schools, libraries and bookshops and I regularly appear at children's literary festivals. I am happy being interviewed and have recorded both podcasts and live radio. In 2018 I was featured on Blue Peter and CBBC Book Club alongside the rest of the Flying Fergus team... and I have to Blue Peter badge to prove it! My school visits involve a high energy talk, audience participation, reading of my books and LOTS of drawing from both me and the children (and any adults!) I talk about how I became an author and illustrator, and how anyone can use simple ideas to form the basis of an imaginative story. (This usually involves turning a simple drawing of a square into a bikini wearing, skateboarding elephant. Just you wait...!) I leave time for questions and book signing, and can help schools run a book sale. My work is most successfully aimed at Years 3 and 4, but I am delighted to talk to all age groups from reception to Year 6, and can tailor my visits to anything from small classroom workshops to large assembly talks. I am also happy to do visits to older children or to higher education, to talk about the process of writing and illustrating for children. 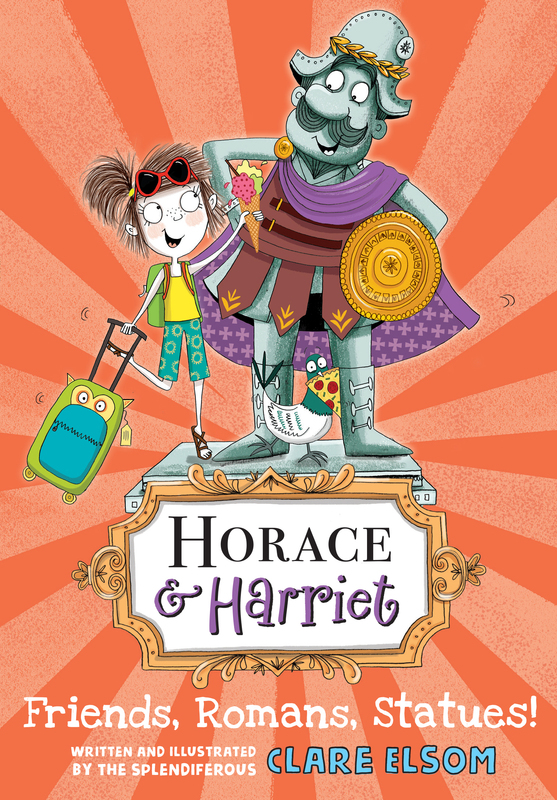 Horace and Harriet: Friends, Romans, Statues! Lord Commander Horatio Frederick Wallington Nincompoop Maximus Pimpleberry the Third (or Horace, for short) has been a statue on a plinth in Princes Park for hundreds of years. But now he's friends with Harriet and every time he leaves his pedestal he's ready for all sorts of adventures. This time the two meet up in Rome where Horace poses as a gladiator, impresses as a statue, and is reunited with a long-lost relative. Packed with splendiferous pictures this is a rollicking read for children of five and up. Lord Commander Horatio Frederick Wallington Nincompoop Maximus Pimpleberry the Third (or Horace, for short) has been a statue on a plinth in Princes Park for hundreds of years. But now he's friends with Harriet and every time he leaves his pedestal he's ready for all sorts of adventures. When Harriet starts a holiday job, Horace is inspired to find his own gainful employment, with hilarious results. Packed with splendiferous pictures this is a rollicking read for children of five and up. 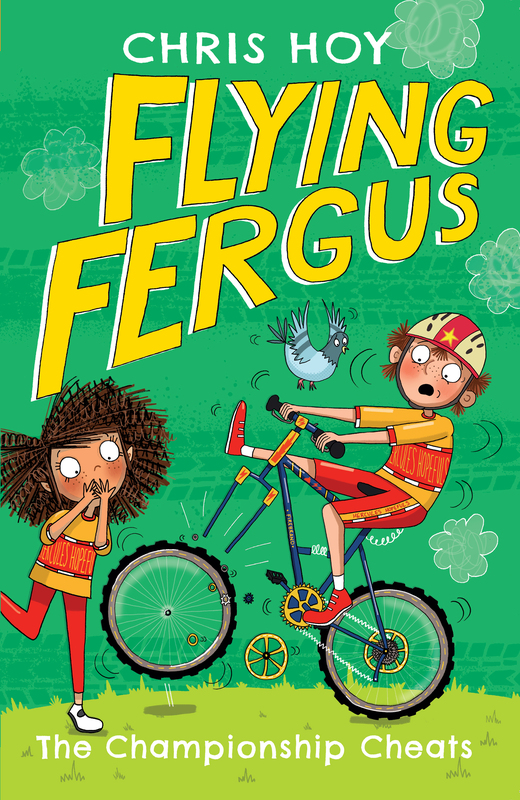 Fergus Hamilton is a boy with a big imagination. 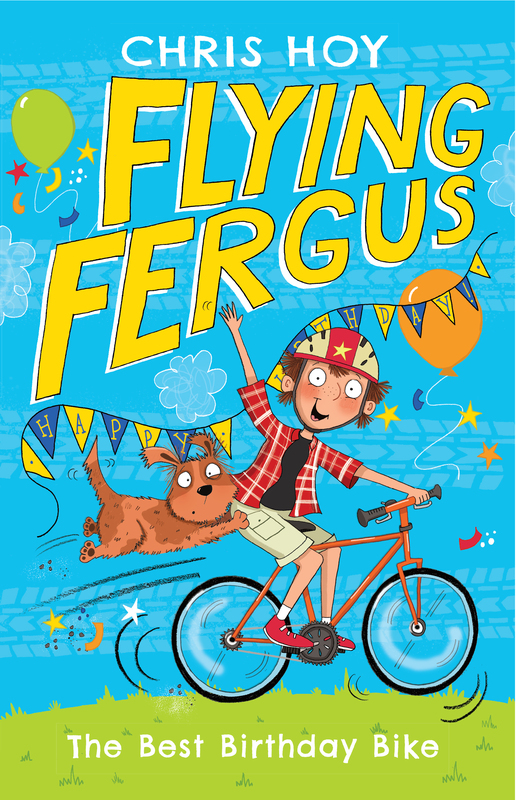 Living with his mum and grandad and his dog, Chimp, he dreams of a state-of-the-art Sullivan Swift and becoming the most brilliant boy cyclist in the world. So when he gets a rusty second-hand bike for his ninth birthday he can't help feeling a bit disappointed. But then he discovers something amazing when he takes it for a ride. . . Written by Olympian cyclist Sir Chris Hoy, with award-winning author Joanna Nadin. Illustrated by Clare Elsom. Fergus Hamilton lives and dreams bikes and is really excited about training for the Great Cycle Challenge with his friends. But he's also got a secret. If the pedals on his bike spin backwards, he's magically transported to to Nevermore, where cycling is banned and his dad is a prisoner. Princess Lily wants to help, but first they'll need to brave the spooky abandoned Bicycle Graveyard. . . Written by Olympian cyclist Sir Chris Hoy, with award-winning author Joanna Nadin. Illustrated by Clare Elsom. Harriet is seven. And a quarter. Horace is seventeenth century. And a STATUE! Lord Commander Horatio Frederick Wallington Nincompoop Maximus Pimpleberry the Third (or Horace, for short) has been a statue on a plinth in Princes Park for hundreds of years. But after suffering pranks, graffiti, endless mobile phone chat, and pigeon poo, Horace has had enough. He decides it's time to get off his pedestal . . . and walks away. Surely he can find a better home? One suitable for such a fine commander? 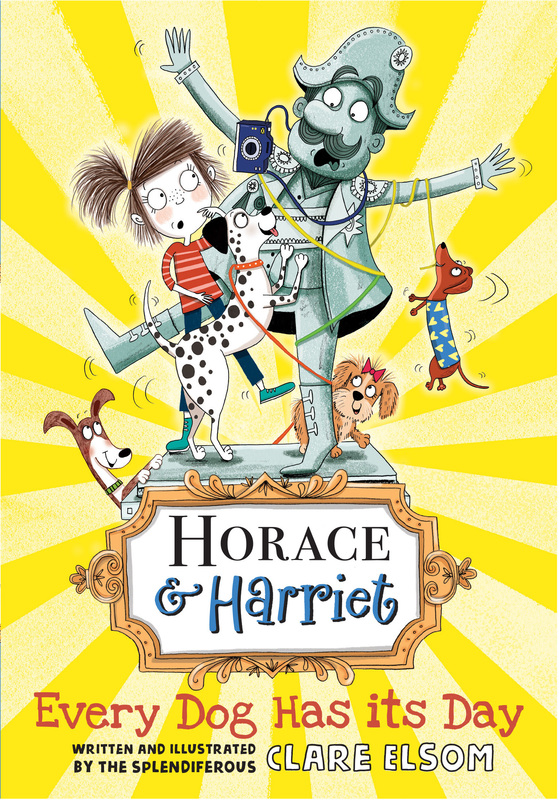 Assisted by his new friend Harriet (she's seven and a quarter years old and definitely NOT a statue) Horace tackles modern life in his quest to find the perfect place to live. The trouble is, nowhere seems to be quite as good as Mayor Silverbottom's house. And Mayor Silverbottom just happens to be a descendant of Horace's arch enemy... Packed with splendiferous pictures this is a rollicking read for children of five and up. 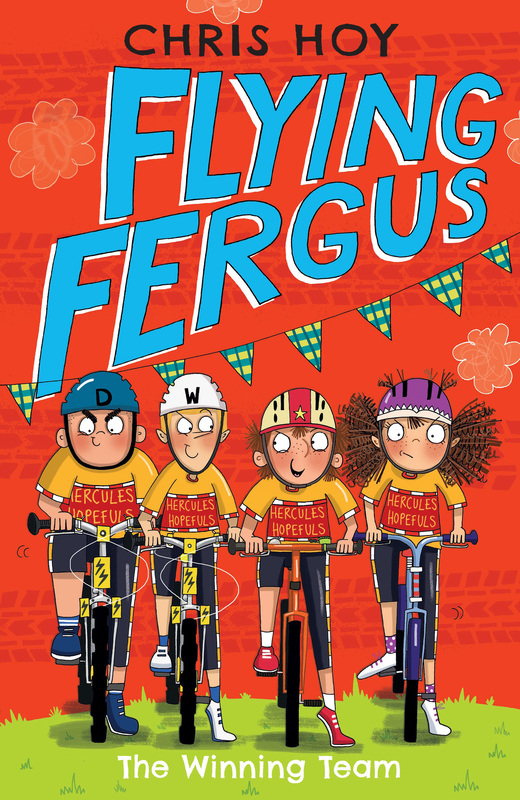 Fergus and his friends are still glowing with pride at being runners' up in the Great Cycle Challenge and practicing hard for the next round of the cycling competition - the District Championships. But without fancy bikes and with only the local common to train on, can the team really go all the way? Then disaster strikes the team when local biscuit company, Bruce's Biscuits announce plans to build their new factory on the common. They have offered the council a lot of money for the land and there's no hope for Fergus and the team to raise enough to match it. Fergus hopes that if he can find Dad in Nevermore he might have a bright idea to help them. 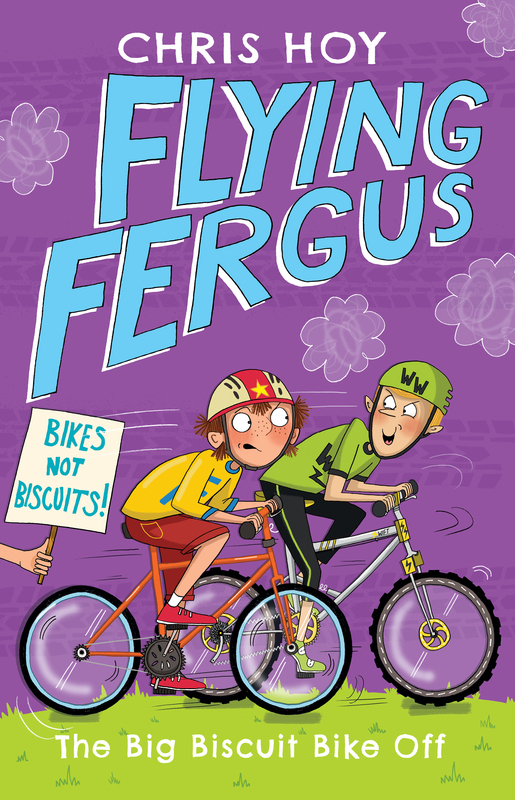 But when Fergus spins the pedals backwards on his bike three times, he gets more than he bargained for! Written by Olympian cyclist Sir Chris Hoy, with award-winning author Joanna Nadin. Illustrated by Clare Elsom. The District Championships are coming up and the Hercules' Hopefuls are nervous. Their hard work and training are about to be put to the test. But that's not the only thing on Fergus's mind. Mum has been acting oddly, and when rival coach Choppy Wallace turns up with an offer that's just too good to be true, Fergus is suspicious. It's high time he got Dad back from Nevermore, but he'll need a little help from his friends Princess Lily and Unlucky Luke . . . Written by Olympian cyclist Sir Chris Hoy, with award-winning author Joanna Nadin. Illustrated by Clare Elsom. The Hercules' Hopefuls are going to the Nationals, and not even Wallace's Winners competing too can wipe the smiles off their faces. But then disaster strikes in training. To stand a chance of beating the Velociraptors, the terrifying all-girls speed squad, Wesley and Fergus will need to work together. It's Fergus's biggest challenge yet - well, apart from breaking Dad out of the Dungeon of Despair in Nevermore, that is . . . Written by Olympian cyclist Sir Chris Hoy, with award-winning author Joanna Nadin. Illustrated by Clare Elsom. A heart-warming and humorous animal series by Holly Webb, with gorgeous illustrations throughout. 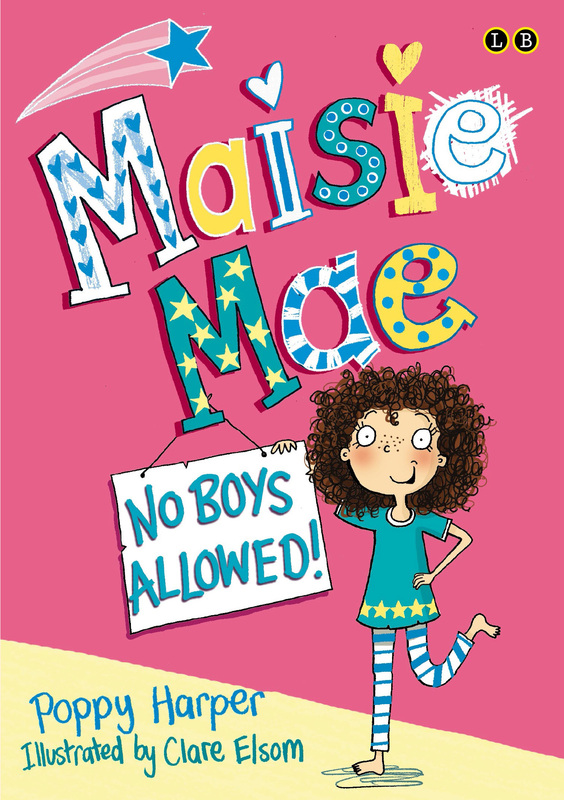 Sophie isn't happy about moving to a strange new country and starting at a new school. 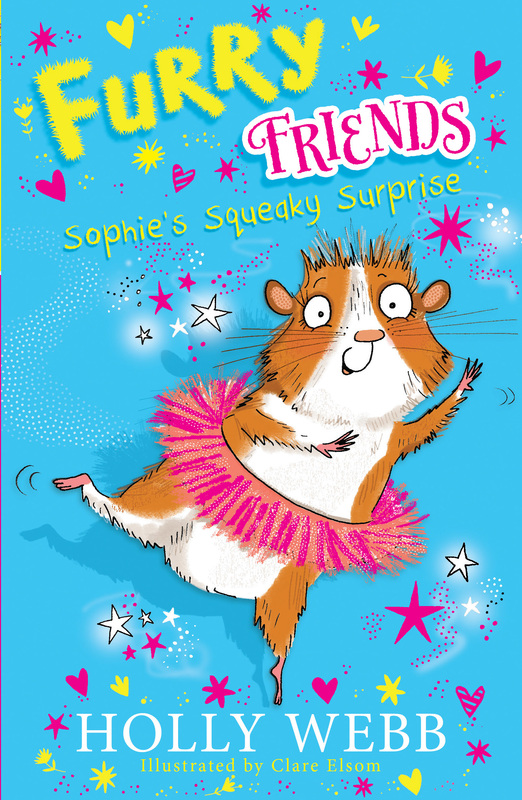 But then she meets Josephine - a macaroon-eating, tutu-wearing guinea pig, who lives with her furry friends in the centre of Paris. Josephine soon shows Sophie that living in a new place is exciting and being friends with a guinea pig is the best adventure of all. Written by Holly Webb, illustrated by Clare Elsom. 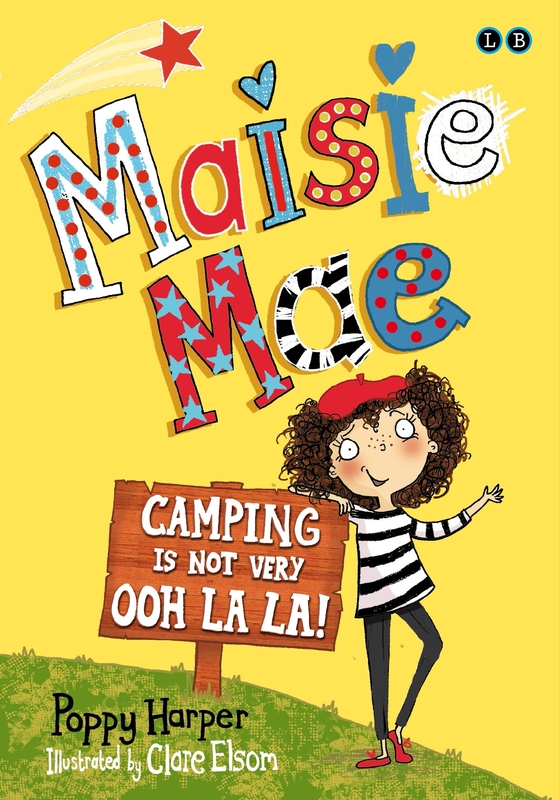 Maisie Mae: Camping is Not Very Ooh La La! Lord Commander Horatio Frederick Wallington Nincompoop Maximus Pimpleberry the Third (or Horace, for short) has been a statue on a plinth in Princes Park for hundreds of years. But now he's friends with Harriet and every time he leaves his pedestal he's ready for all sorts of adventures. 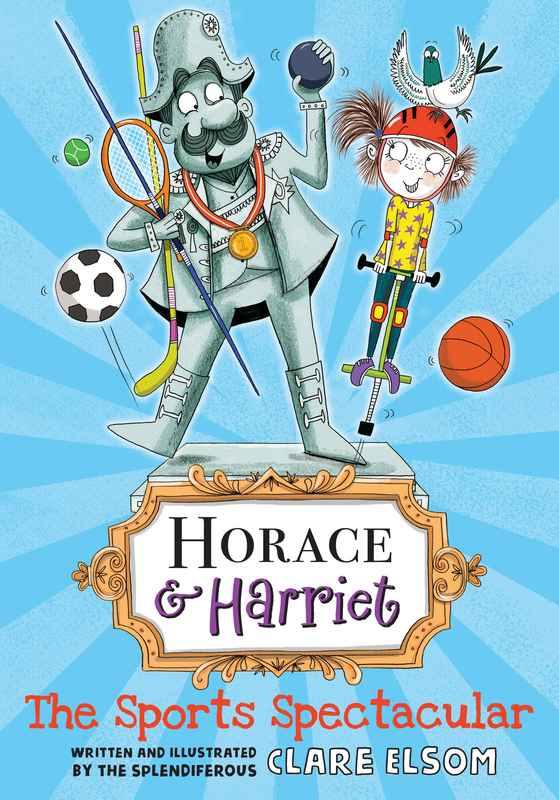 It's the day of the Sports Spectacular and once Harriet, Fraser, and Megan convince Horace that his park isn't being invaded, he soon gets into the spirit of the games. But will his winning streak land Horace in trouble, especially when crafty Coach Whipston wants a share of his success? Packed with splendiferous pictures this is a rollicking read for children of five and up.